This week in the European Tour, it is the Alfred Dunhill Links Championship. Some absolutely astronomical odds there for a lot of those. So while we will do our best with the betting tips, don’t put everything you own on them! The PGA season will return for the 2015/2016 season on October 15th with the Frys.com Open. We will of course return with betting tips for all of that. Not the best odds there with it being so top heavy. As we said let’s bet small amounts this week. Westwood doesn’t have the best history in the Links Championship in recent years, but his form this season is something worth looking at. He’s had a lot of solid little results over the season and while nothing mind blowing – he’s someone we have to consider here. He just stands out amongst the field, and the 33/1 odds we feel have value. We’d be splitting a quarter unit on this one and going to win and each/way. Bet: Westwood quarter unit to win and E/W. 33/1 at https://www.GTBets.com. Danny Willett is someone we have to look at here. He’s missed the last two cuts but he’s had some top 5 finishes and shown what he is capable of. Willett also has had a very solid season – including the win at the Omega European Masters a few months ago, and his last European Tour tieing for 3rd place in the Italian Open. Williett has had so many solid results including tied for 6th at the Open Championship, and he is worth in our opinion a half unit bet to win & E/W. 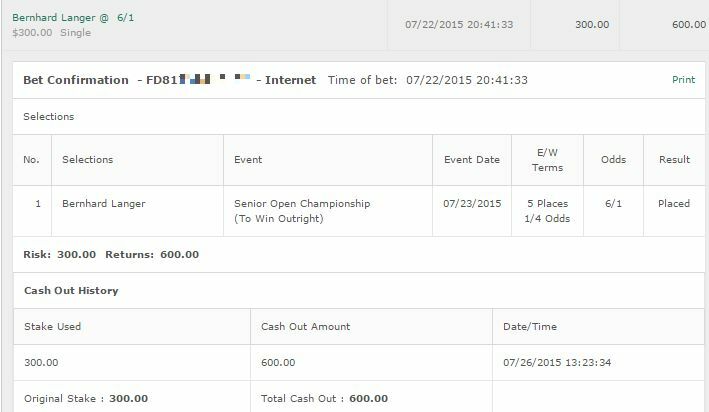 Bet: Half unit bet on Willett. Best odds for this are at Bovada for Americans which pay out top 6 for the each way bet. 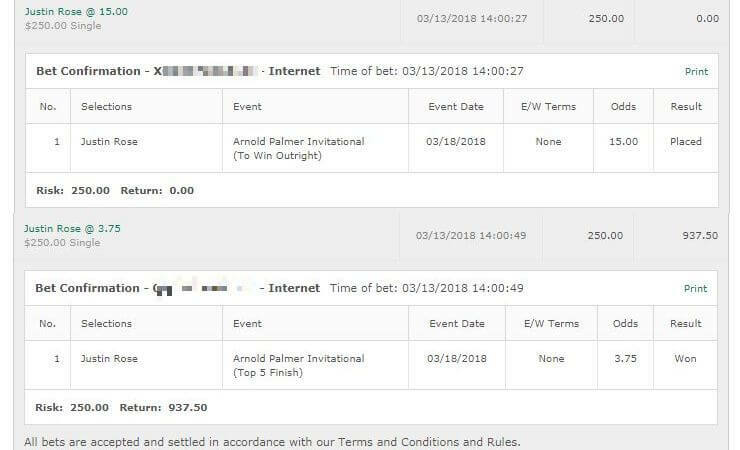 We’re now going to take a full unit and split it up over 4 golfers at high odds with recommendation to bet to win and E/W. Roope Kakko 125/1: The finnish golfer has had some solid results this season and shouldn’t be taken lightly. He is solid on par 5s and that comes into play here. Lee Slattery 80/1: Slattery has had some great results in September already with the KLM Open and the M2M Russian Open where he came 1st and 2nd respectively. Victor Dubuisson 50/1: We were so high on Dubuisson at the beginning of the season and it’s sad how poor he has played. But hey maybe he can turn it around here? He has the skill to do just that. 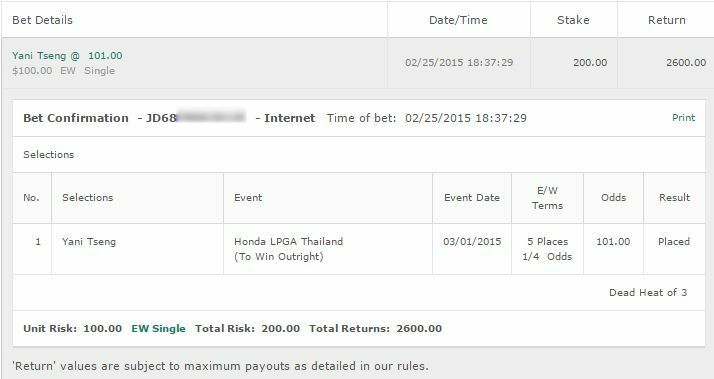 Padraig Harrington 100/1 Sometimes a name just pops out at you. This was one of them. Bet: Get all the above odds and bet them to win and E/W at https://www.GTBets.com.